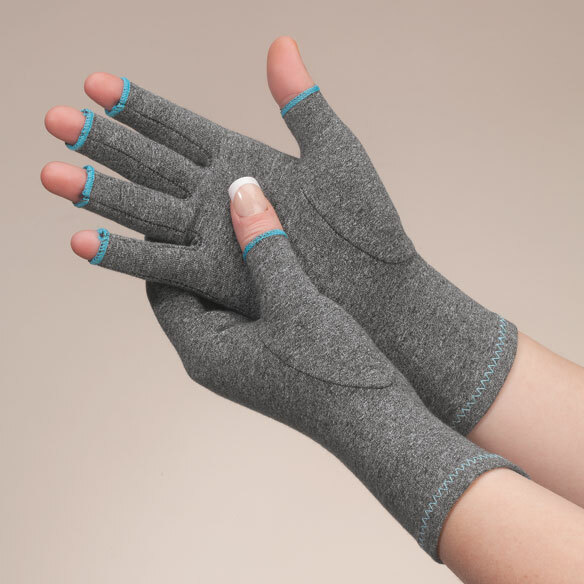 Breathable cotton colored compression gloves for arthritis provide mild compression that keeps hands warm, helps increase circulation and promotes healing. Open-fingertip compression gloves design allows full freedom for daily activities, while colorful stitching means you're always in style. 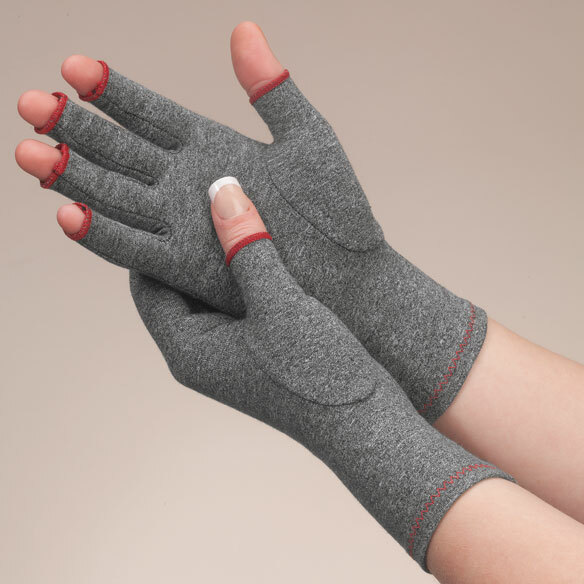 Gloves for arthritis are washable, latex-free. Specify color: sapphire, ruby or gold. Imported. 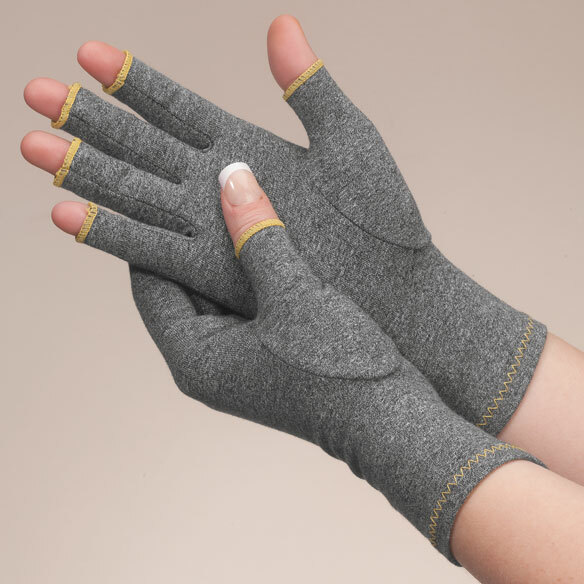 I use these at night with my carpel tunnel problem. Lets me sleep. I have pain in my hands. my hands hurt while typing and I hope these will help me. Because my hands hurt and need something for the winter. How do they measure around the wrist? Most of the gloves I have tried are too tight around the wrist. BEST ANSWER: Thank you for your question. 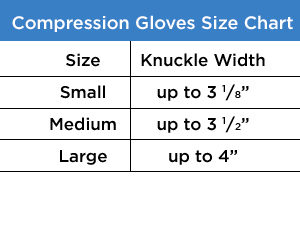 For these gloves you want to measure across your knuckles. From your pointer across to your pinky. We hope this information will be of help to you. Do you have a size guide??? Do you have item 352737 with grippers? I also need them with the shorter finger length. Are these options available? BEST ANSWER: Thank you for your question. These do not have grippers not do we carry the style with grippers. Please see the link below to a different style we carry with grippers. We hope this information will be of help to you. Do they fit over the thumb knuckles? BEST ANSWER: They fit great but I have short pudgy hands. They are made well and stretch fine. Hand wash. I lost mine so that reminded me to get another pair.